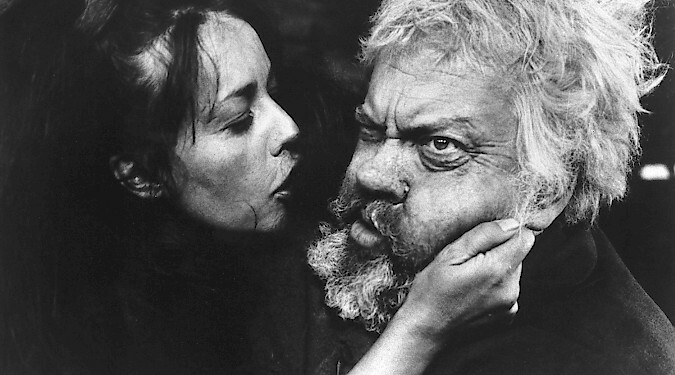 Featuring key performances by Orson Welles wearing both his director and actor hats, Falstaff: Chimes at Midnight is a bona fide classic of old-school cinema. This film must be as one of the greatest cinematic versions of Shakespeare’s work – in this case Henry IV Parts 1 and 2. It must rank up there with Kozintzev’s Korol Lir – and certainly fully washes away the embarrassing memory of Olivier’s gung-ho Henry V.
Over a long, frustrated career, Welles turned cultured gruffness into a sublime worldview; Falstaff is the apogee of this development. The film’s success is wholly due to Welles’ star turns as Falstaff and as director. Falstaff showcases Welles as possibly the ultimate auteur film maker: he crafts a film that is also a world, both in his own body and performance as well in matchless mise-en-scene. Welles is the poster boy for those who like their films to present a saturated worldview, created through the pacy montage of carefully composed, often weirdly angled, vertiginous or fluid, deep-focus shots that come across as grotesque because of much close-up foregrounding of characters. All of which serves the story here remarkably well. Welles’ strength was always his ability to create a holistic vision out of a series of undeniably striking, often near-perfect visual fragments. And that dear reader, was considered the nec plus ultra of classical cinema. 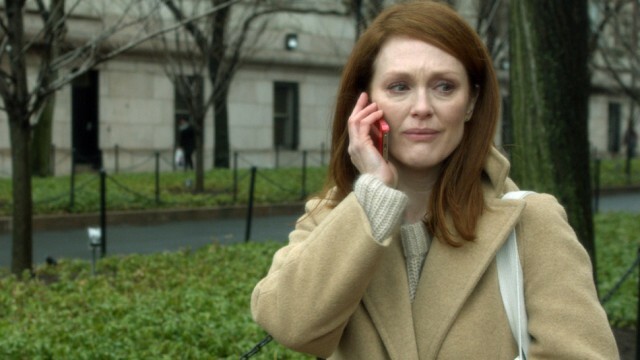 But that approach feels utterly historical now – and combined with the already historical story the whole thing seems to have a brilliant, magisterial irrelevance. You’d expect a film of a Shakespeare play (or two) to be all ‘about the language’ but the visuals are so striking and Welles such a grimy, grubby, incarnation of Falstaff that the beautiful redundancies of Shakespeare’s words stand out like sore thumbs. They often seem utterly effete and at odds with the begrimed visuals. Visually, the film is reminiscent of medieval set Eastern European films of the period – Andrei Rublev, Marketa Lazarova, that sort of thing – but it’s hard to tell who truly inspired who as Welles was probably available and respected in Eastern Europe. And if he was embargoed as a capitalist imperialist running dog, then it is just more evidence that great film makers do similar things, wherever in the world they are. There are some astonishing sequences in ‘lowlife’ locations that partake of Falstaff’s own grubby being, ie Mistress Quickly’s Boar’s Head Tavern. There is also a brutal and influential battle scene. Given that this is a restoration of sorts, it is surprising that the dodgy post-dubbing has been left in – or at least not cleaned up more. Falstaff: Chimes at Midnight is being released on Blu-ray and DVD on 29 June to mark the centenary of Orson Welles’ birth. Falstaff: Chimes at Midnight is out on Blu-ray and DVD on 29 June.